The brilliant Death Cafe is putting together plans and resources to open a real Death Cafe in London. This is very exciting news!! For those of you unfamiliar with Death Cafe it is a not for profit organisation that organises group directed discussions about death. Their objective is ‘to increase awareness of death with a view to helping people make the most of their (finite) lives’. Perfection. The Death Cafe in London would be community owned and run and would offer a safe and comfortable space to openly discuss end of life issues, host related events and workshops, and of course eat delicious cake. 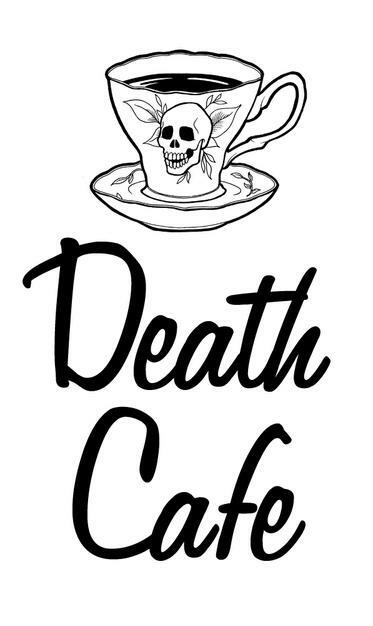 Death Cafe’s founder, Jon Underwood, is looking for people who can help with all aspects of the set up. This is a really exciting and incredibly worthwhile and important project and I would highly recommend getting involved if you can. If you feel like you could help in any way, or would just like to offer some words of support or advice, you can email Jon at underwoodjon@gmail.com. He will also be offering shares in the cafe. Sign me up!! I think this cafe will be a real asset and will hopefully encourage more to open around the country (and the world!). Anything that encourages positive and open discussions about end of life issues should be nurtured and celebrated. I’ve signed up to help in any way I can. If you would like more information about the London Death Cafe you can find it on their website here.